Cars are an essential part of our modern lives, but they should be much more than simply a means to get us from A to B. One of the most important features of a car is its audio system, as it's that which provides the main form of in-car entertainment, helping turn those long journeys into a pleasure rather than a chore. Central to an in-vehicle audio system is its speakers and selecting the correct speakers for your car and your needs can make a big difference, whether you listen to the radio or your favorite downloads. If you're not sure what to look for in our automobile speakers, our handy guide below will help you find that speaker solution that's just right for you. There are many things to consider when choosing a car speaker system, but our guide to buying the right car speakers can make the process quicker and easier. One of the most important decisions you'll have to make is whether to purchase a full range system or component system. Put simply, a full range system is one where all the kit you need is in one setting, usually with a tweeter mounted above the woofer, although some of the higher quality full range speaker systems may also incorporate mid-range capability or a super tweeter. Component systems, on the other hand, are based upon separate woofers, tweeters, controllers, and linking systems that are designed to be used together. These will typically produce a sharper sound and a more pleasing audio experience, but they also often come with a higher price tag attached to them. 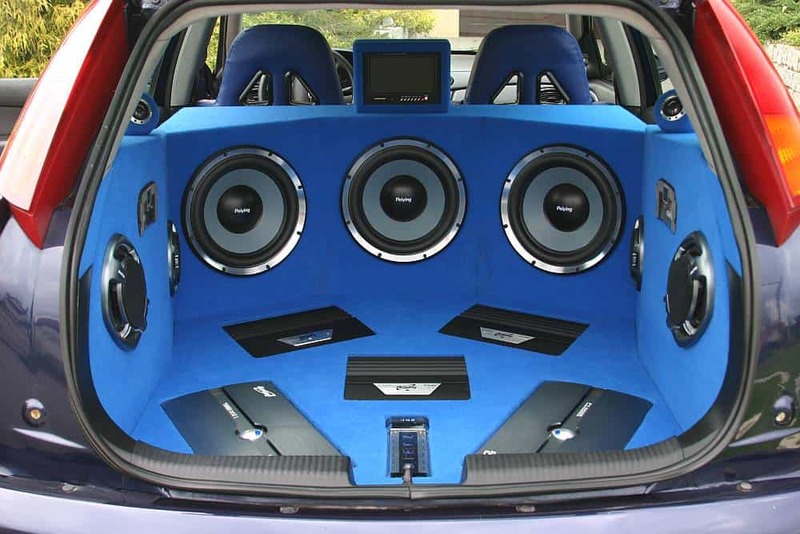 Before looking at possible speaker systems to install in your car, you should first set out a budget for the purchase. In general, of course, the more you're willing to pay, the better speaker you get, but be aware that you could be paying for the manufacturer's name on the speaker rather than the quality of the sound it produces. 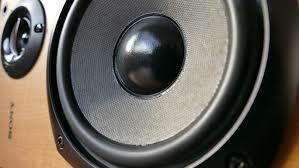 It can also be worth buying pre-loved car speaker systems, as long as the components remain in good condition. Before buying any car speaker system you should always take a look at reviews on this website and online, as this will give you the inside information that the manufacturer's specifications won't always reveal. With this information to hand, you can compare speaker systems on a like for like basis and find one that truly offers the best value for money. Many car speaker systems look similar, but deliver audio output that's notably different, and one of the main reasons for this is the quality of components used within the speakers. One of the most vital components is the woofer surround as this has to be durable while at the same time providing the flexibility that will be needed for the woofer cone to vibrate and move freely; this allows the speaker to produce a bass sound that is rich and satisfying. Rubber is the perfect material for a woofer surround, and its presence is often an indicator of high end car speakers whose emphasis is upon quality and performance. Cloth and foam surrounds are suitable alternatives for those looking to purchase a car speaker system on a tight budget. Maneuverability within an automobile speaker system can refer to two things, and both of them can be important considerations. Firstly, you may welcome the ability to adjust the speakers so that sound comes at you or your passengers from different directions, and an easy way to achieve this is to have a speaker system with pivoting tweeters. These can also be a big help if you need to install the speakers in a difficult to reach corner, or where space is at a premium. You may also have more than one vehicle or want to be able to remove your speakers easily if you purchase a new car; a component speaker system is one solution to this problem, but you may find that detachable tweeters can easily be installed in a different modular system. Speaker sensitivity is one of the key indicators that you should look for, and in fact the sensitivity rating actually refers to the loudness of the car speaker system. It will be measured in decibels (referred to as dB) and the higher the decibel rating, the louder the speaker's output can be. An average speaker will typically have a sensitivity rating of around 88 decibels, so car speakers with ratings higher than this are at the top end of the scale and can be relied upon to produce clarity of sound even at high volumes. It's worth noting that some manufacturers measure sensitivity in different ways, so adjust a room environment sensitivity rating by minus three points if comparing it to one gained in a non-echoing environment. If you like your in-car music to be loud and yet still sharp, then you also need to compare the speakers' power handling capability as well as its sensitivity rating. This factor will be displayed in Watts (or W), and the rating which is most important is known as RMS. This is the Root Mean Square power rating, and means that it is a measure of the continuous power that the speaker can handle. There will also be a peak power rating, but the RMS reading allows you to get a truer indication of how powerful the speaker system is and allows you to compare it to the RMS figures on other speakers that you may be looking at. Just like a car itself, the look of a speaker system may be the first thing that catches your eye but it's more important to consider its potential performance and what it can do for you. Look at the manufacturer's specifications to ascertain its power and sensitivity ratings, and also consider whether the speakers can be maneuvered easily, whether they are made of high quality materials and whether they offer good value for money. Finally, be sure to check expert car speaker reviews before making a purchase, and you'll then be ready to buy your perfect car speaker system with confidence.